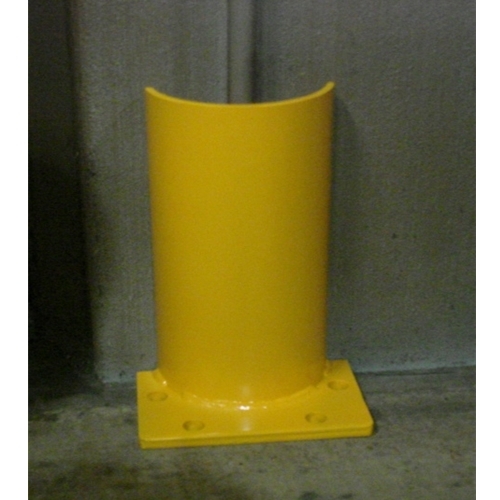 Industrial Safety Rack Support Guards are constructed with a built-in heavy duty design and radius ends to keep traffic away from critical rack supports. Available in stock sizes from 26″ to 48″, Rack Guards are but one type of the many Safety Barrier / Guard Rail type products offered through Omega Industrial Products. Omega Rack End Guards are engineered to provide employers in public and private capacities across the board with a safer and more user-friendly workplace by supplying protection and minimizing physical hazards. 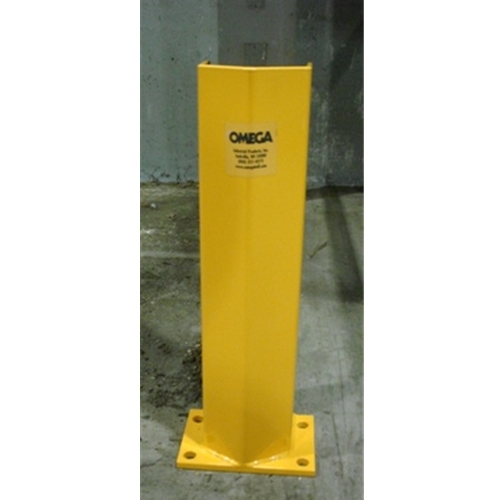 Omega Industrial Products, Inc. carry and manufacture the best in Industrial Safety Rack Guards, which will fit into any setting and building codes. Omega Rack Guard products like Safety Barriers, Guard Rails, Bollards, and all of its many safety products and designs, offer quality and durability not found elsewhere. Rack guards come in a variety of configurations. Rack guards come in a variety of configurations and are yet another of the many uses Omega provides to protect people, machinery, and constructions from the foreseen and the unforeseen. All of our products can be easily customized to your specific needs and dimensions whether they be height, length, color, location, or functionality. Request a quote and we will contact you. Omega Industrial Products has gathered CAD drawings for your convenience.